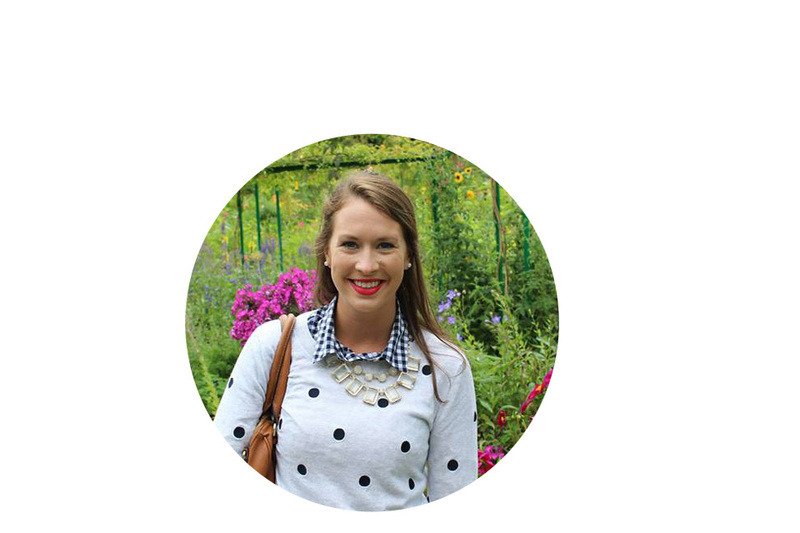 I have a serious kitchen pinning addiction on Pinterest... and they all look the same. Gleaming white; white quartz counter tops, all white cupboards, and all white backsplash. My sister built a house a couple of years ago and I had some serious envy over her beautiful white kitchen and have been crushing ever since! I picked kitchen items for my registry in my favorite color scheme...starting with the white French Kitchen Marble collection from +Crate and Barrel and accenting with tons of fun metallics and calming blues. I got this color +KitchenAid Mixer and I'm OBSESSED! Planning our wedding has honestly been one of the most exciting things I've ever done. Every single detail makes me so happy, and I cannot wait to celebrate our love with our closest family & friends. Creating the registry has been SO much fun for me, not Daves favorite thing but he has been a trooper! 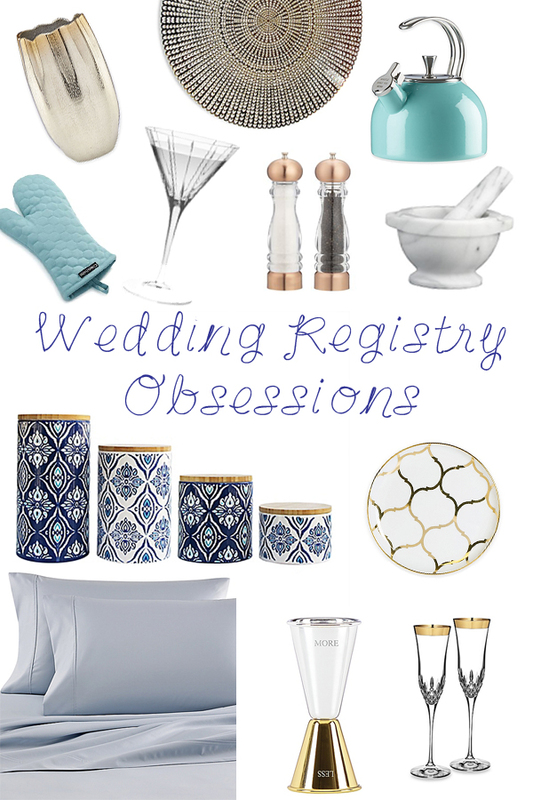 I won't lie I kind of obsessed over our registry for a while...but honestly this is all stuff to fill your first home so it IS important! Dave and I have done long distance for SO long, when we move in together it will finally be our home together...FOREVER. We won't have to travel every weekend to see each other, we will finally live in the same zip code! Picking out things for our home, makes me that much more excited for all the experiences and adventures we have to come. Fall is my absolute favorite time of the year. I never want to miss a minute of fall, of the beautiful trees and the crisp air. 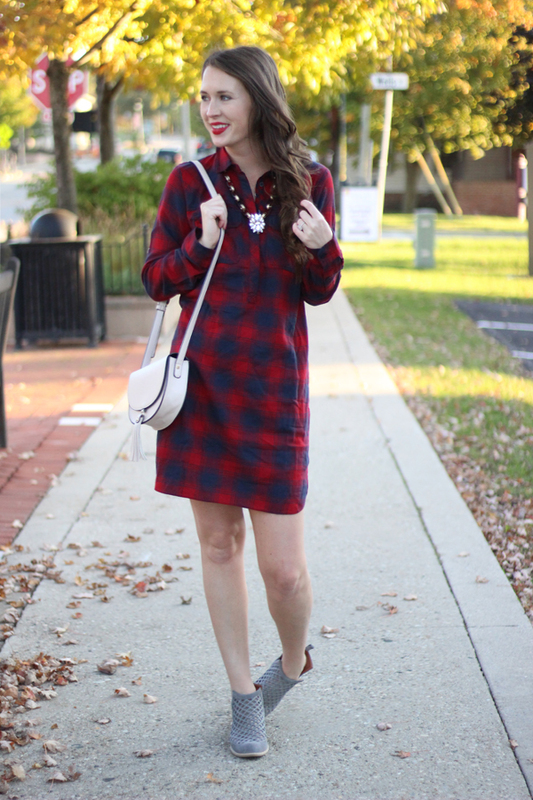 I also think that it is the most fun season to dress for. 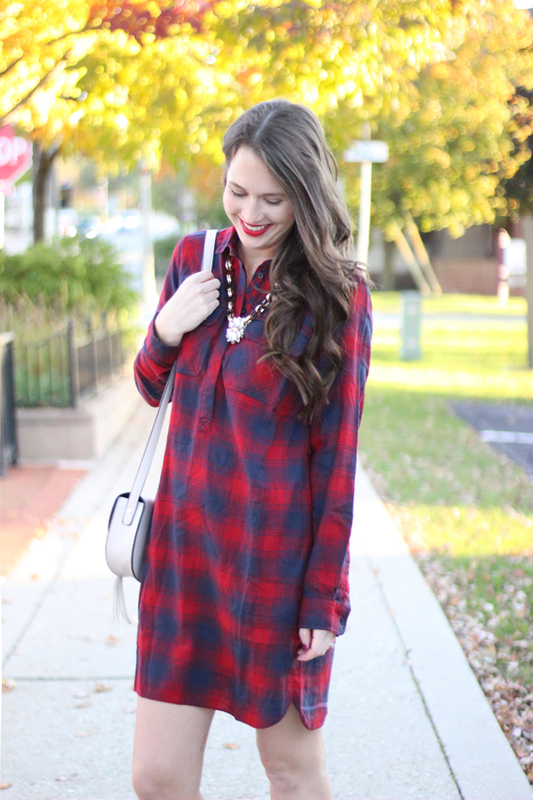 There are so many fun layers, warm fabrics and bold colors. 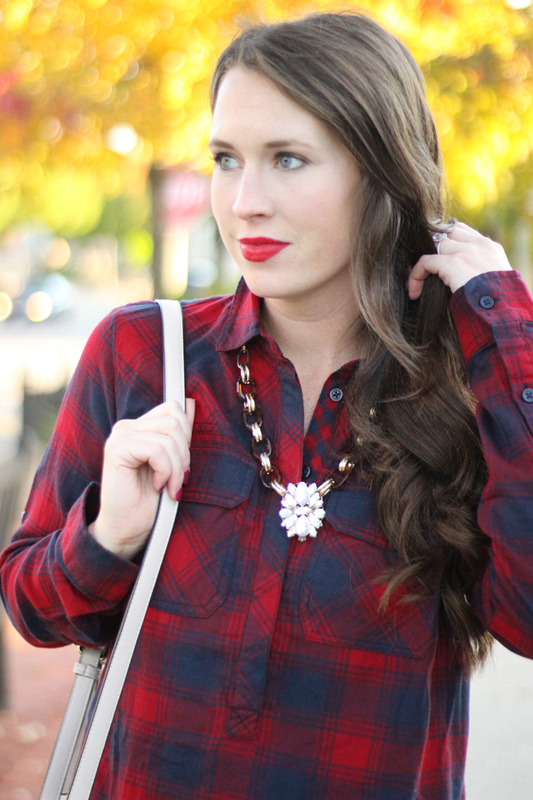 One of my favorites for fall has always been plaid, I cannot get enough of it. 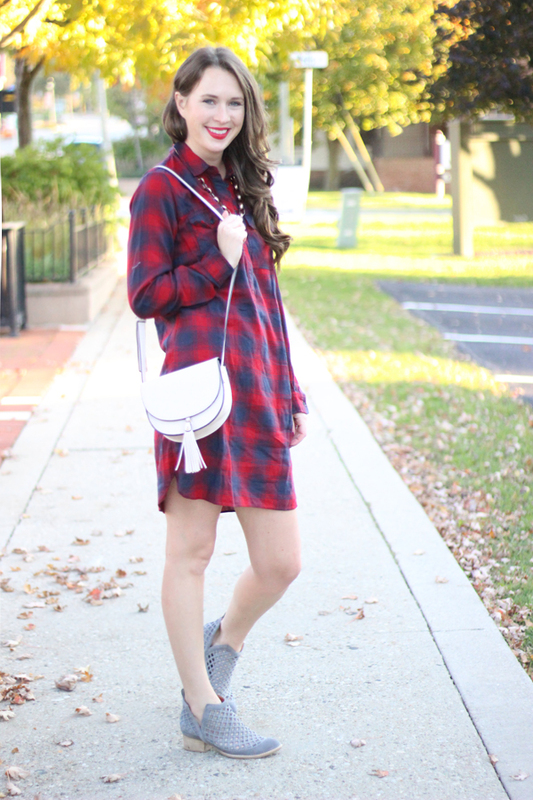 Its so festive and can be worn so many different ways; dresses, skirts, tops, handbags! 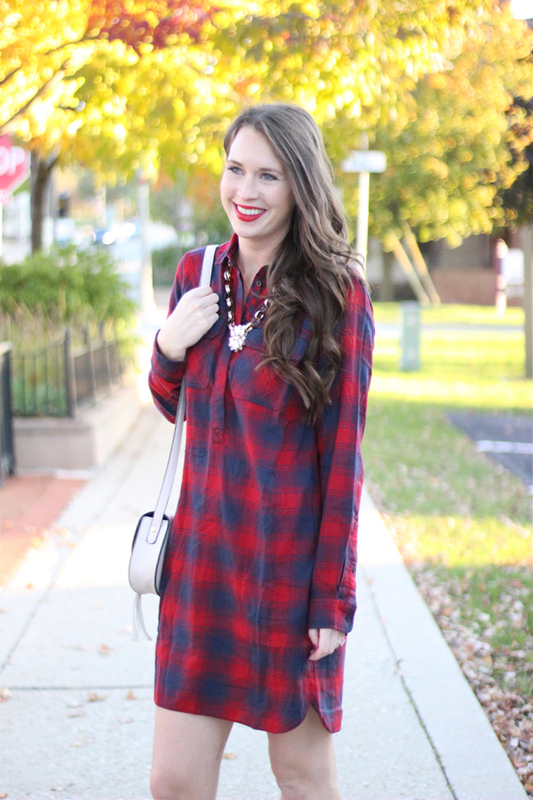 I saw this plaid shirtdress and knew I had to have it for fall. It is so incredibly soft and comfy! 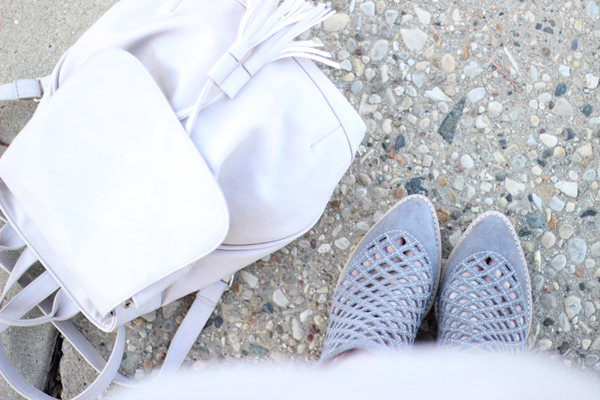 I paired it with a long suede vest a couple days later and it completely changed the look. 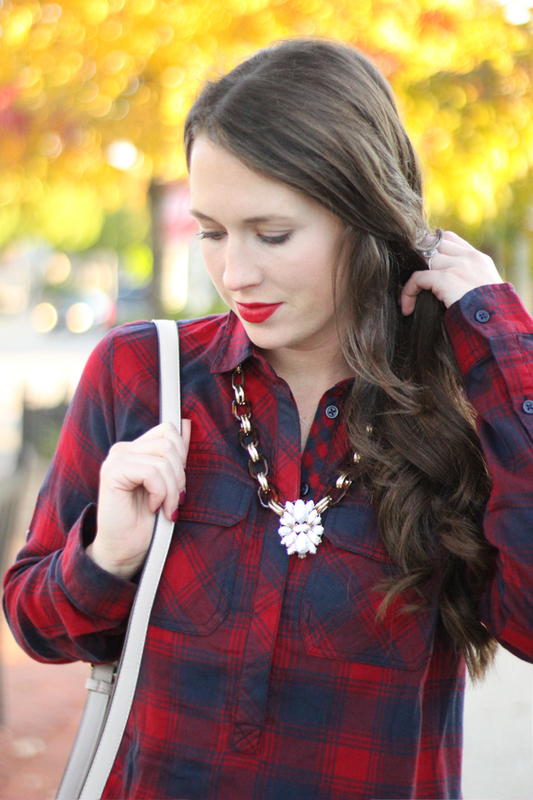 Layering can take your favorite fall pieces and transform them into endless looks!